For this Heritage Radio Network On Tour special report, the HRN team braved the 11-mile journey uptown, to the Orwashers factory in Hunts Point. After donning hair nets, we slid past vats of bubbling wine-grape yeast starters and oohed and aahed as shapers churned out perfect batons. 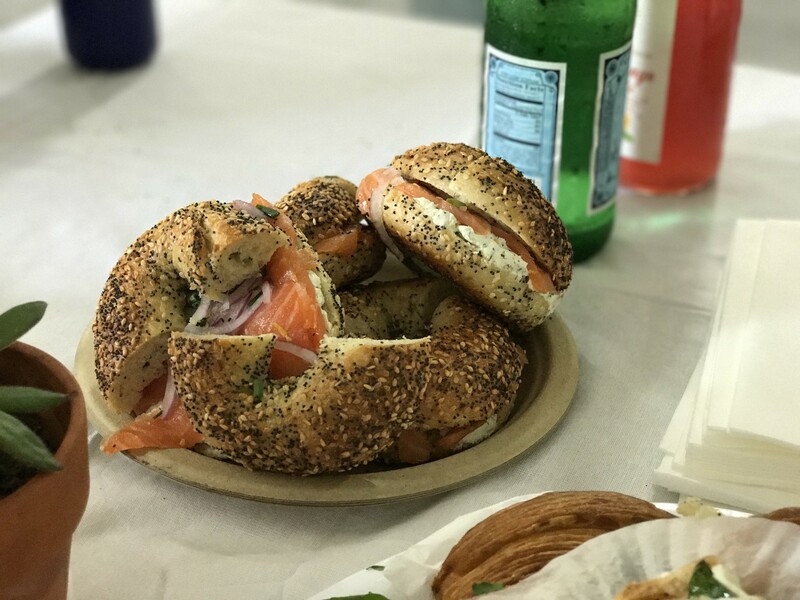 After the tour, the team sat down with owner Keith Cohen, to a feast of lox-laden bagel-wiches, melty cookies, and sticky bun babka. Keith shared Orwashers’ long-standing place in NYC history, the importance of constant self-critique and re-invention, and how his eating habits often resemble that of a 10-year-old’s. 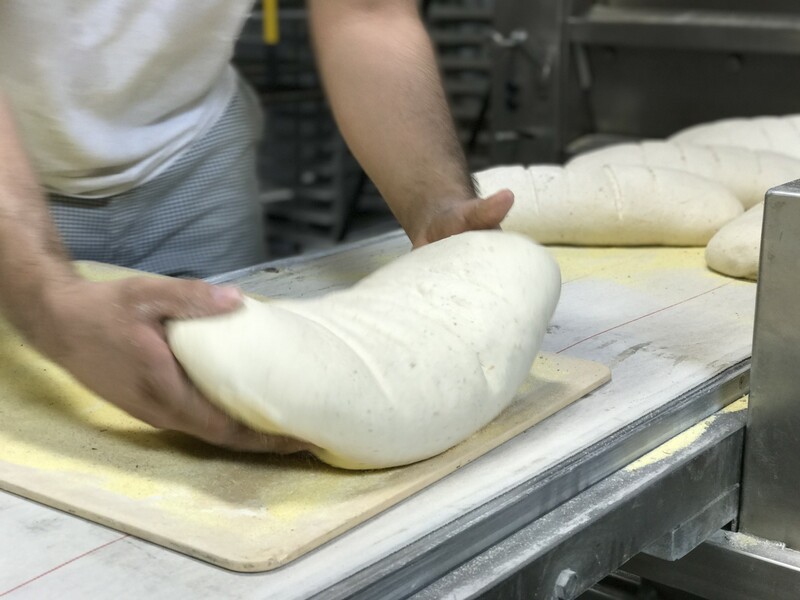 With a wine warehouse to the right, and another bread wholesaler to the left, the HRN team felt eerily at home in Orwashers’ bakery’s South Bronx location; if not for the occasional coastal breeze, you’d think we were in Bushwick. After introductions and passing out hairnets (and beard-nets), we were whisked away into the mixing rooms. Though Orwashers’ accounts are largely wholesale, only 3 mixers were going, manned by 3 workers. 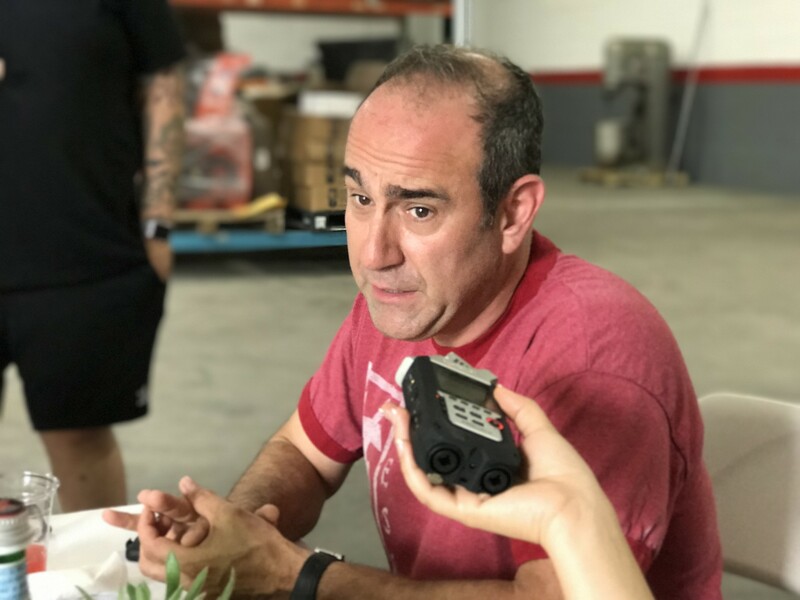 Keith stresses the importance of hand-made breads, and though mixing machines are utilized, the assistance is minimal. 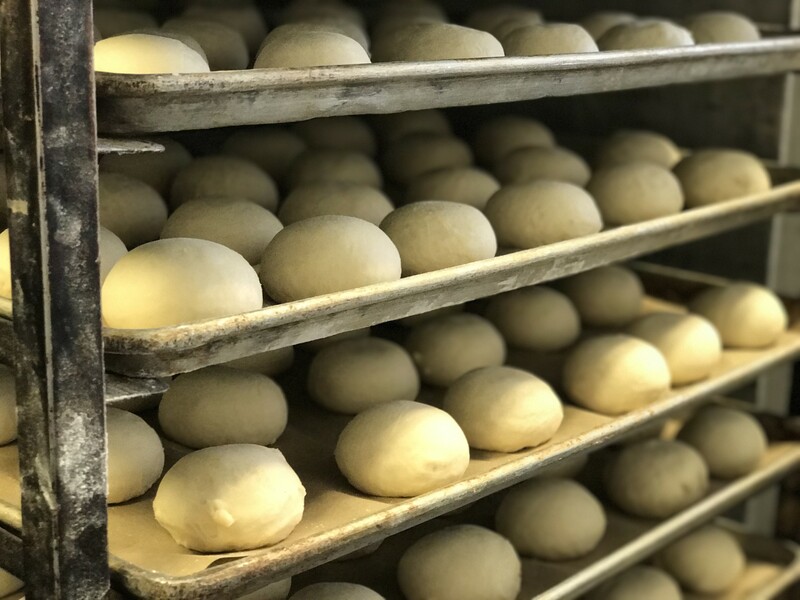 Orwashers breads use 100% natural fermentation, requiring meticulous planning and some serious TLC (their sourdoughs take two full days). 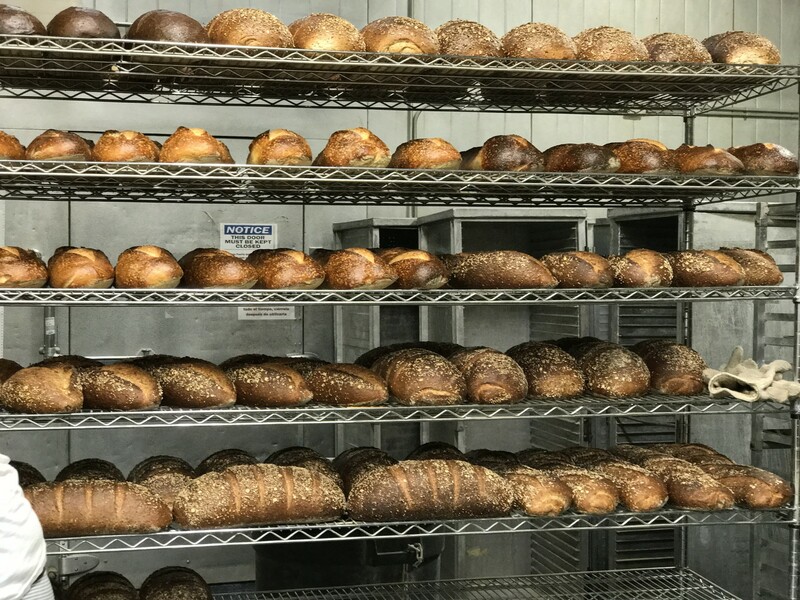 Owner Keith Cohen is a big proponent of using local flour, Their “ultimate whole wheat” uses grains from the Finger Lakes, while their “levain locale” sources grains from North Country Farms. 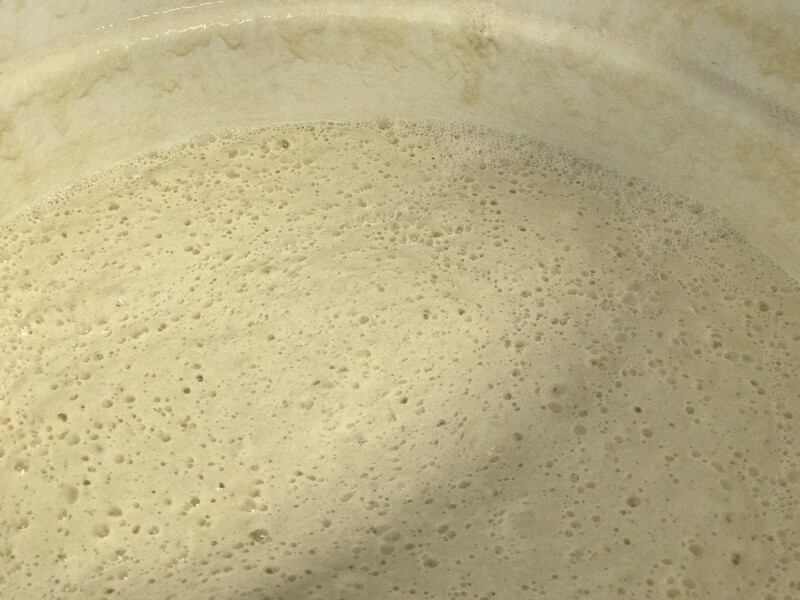 He has even created a natural yeast starter using wine grapes (Chardonnay and Cabernet from Channing Daughters), water, and flour; he also has developed a beer bread, using stout. Starters will change, depending on weather–and it has nothing to do with any error on the bakers part. “We do it differently than some bakeries. 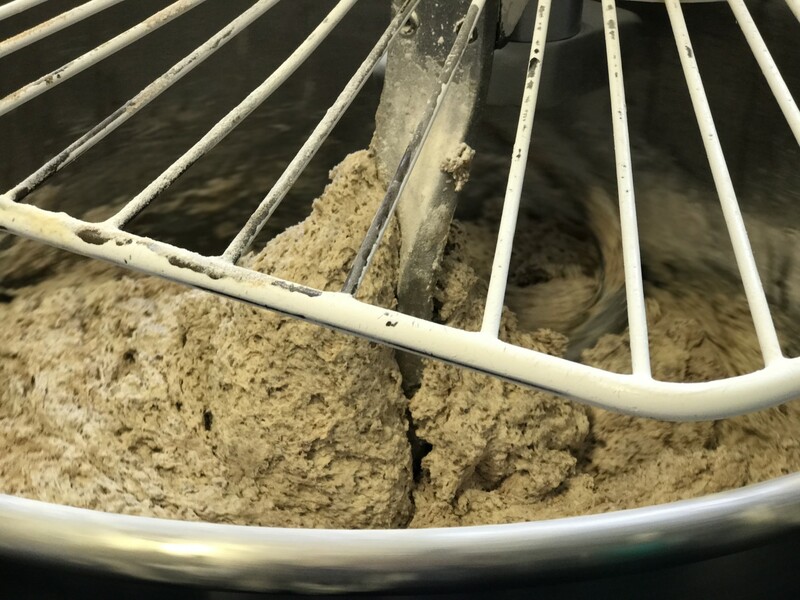 Some bakeries have legacy starters–50, 100, 150 years old; I like to rebuild our starter every year, around harvest time, Thanksgiving. I consider it our ‘vintage’. It’s ceremonial; we rebuild it, and we find that it’s stronger each time. This is a time where we get to reflect back on the year; a lot of the team has been here for awhile, so they look forward to it. Having a perfectly hermetically sealed environment is simply not practical. “Different flours can absorb water differently. We just got a flour delivery–a blend–but throughout the year, it’s aged differently; sometimes there’s more moisture. 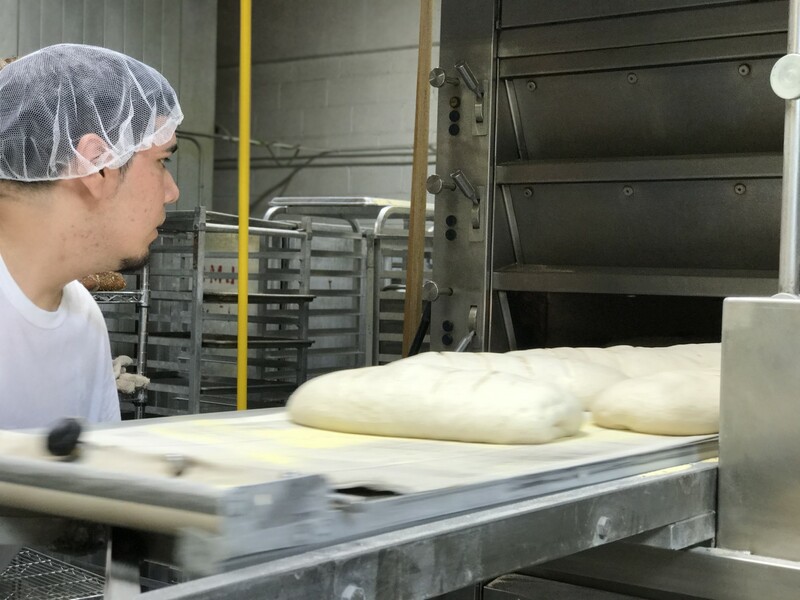 We have all these different products, these different doughs, different dough temperatures, everything else, and it’s a huge amount of coordination. I equate it with trying to run the subway system. You have all these different lines, different doughs, different shapes, and you also have the limiting factor, which is the oven. Maturation is going on all day, and there’s no sophisticated database system to refer to. It’s just gut instinct.” And that’s just part of the complex, beautiful chaos. 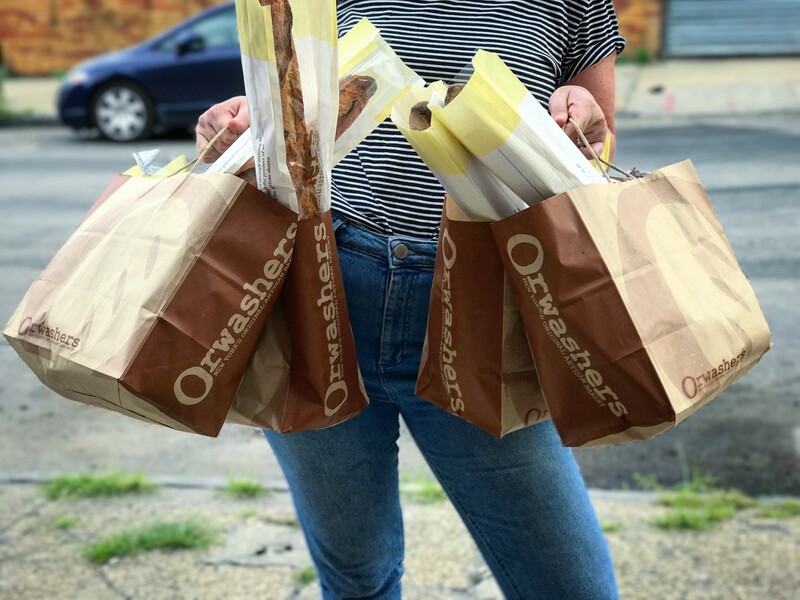 You can find Orwashers’ breads at their Upper East Side and Upper West Side locations, or at NYC Whole Foods. For more information and updates on local suppliers at Whole Foods Market follow @wholefoodsnyc on Instagram.